Accommodate Your Storage Needs with Super Cheap Self Storage Sydney! 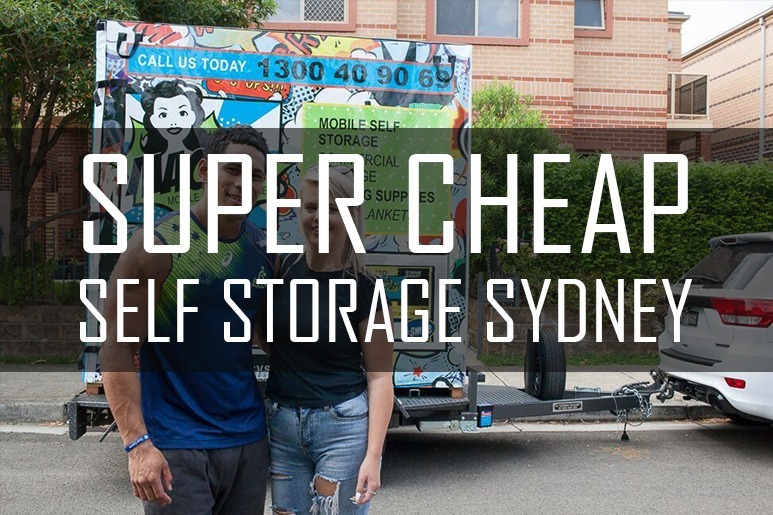 If you need extra space for a reasonable price, super cheap self storage Sydney is what you’re looking for! Maybe you just want to clear out old files in your office or maybe there’s just too much furniture. Either way, having a place where we can set aside these things would be very convenient. Due to this convenience, business districts are bustling with storehouse facilities, not to mention Sydney. Choosing amongst the many is quite a hassle and requires lots of considerations. And normally, we all want to rent the cheapest! We hate to pay for too much self storage cost every month. Luckily, you ended up reading this article. Why waste time and effort on comparing pricey warehouse facilities? If you want to save more with your tight budget, then better get Macy’s Mobile Self Storage. Not only that our rates are cheap, but we also deliver excellent service! Here are reasons why we stand above the others. Unlike typical storehouse facilities, we deliver your modules in front of your door. After packing and placing your belongings in the modules, we then pick it up for you. We then store it in our secure indoor storehouse facility. It’s really that simple! This procedure alone could lessen your expenses. You don’t need to rent your own Ute and wrestle with traffic. For a super cheap self storage Sydney, they can even deliver to as many addresses as you require. Even across states or countries. The key is speed and efficiency. The lesser the time required to handle your stuff, the lesser the risk that your things for contingencies such as damage. You don’t want to spend more money for damages. Also, if you run a business and needs to relocate, expert business removalist is what you need to do all the hard work for you. In this way, you can prevent any further damages for they are experts in this field. Meanwhile, one dilemma most people face is whether they overestimate the amount of storehouse space they’ll be renting. Spending for an extra space you don’t need is very wasteful. But with Macy’s storage calculator, you can estimate how many modules you’ll be needing. To use this reliable tool, just place the number of items you want to store, and it’ll tell you how many modules are required. You don’t need to worry about paying extra for unused space. With this trick, super cheap self storage Sydney is within reach. Should I Worry about Leaving My Stuff? For a cheap price, here’s another bonus. Macy’s modules are made up of timber which prevents your stuff from sweating. Thus, storing hazards like mould and mildew is reduced. This is so much better than other materials like steel or plastic. What’s more? We provide heavy duty blankets to avoid your furniture from getting damaged. You don’t need to buy anything. We are giving packing supplies for free! Furthermore, we always plan one step ahead. Before storing, we place your modules on a hardwood pallet base to elevate it far from the ground. This is in preparation in case the weather turns for the worst and flooding is inevitable. Though, this is very unlikely to happen. Aside from protecting your stuff from natural enemies, we also have prepared against thieves. The modules are made of thick hardwood and are fully enclosed. It also has twin locking points on the door for your own locks. Their secure indoor storehouse facility is also equipped with 24-hour video surveillance cameras. Not to mention the whole facility has ample lighting and an alarm system. Now that’s high-quality assurance for a super cheap self storage Sydney. How come its Super Cheap Self Storage Sydney? As mentioned earlier, Macy’s comes in front of your door. Unlike traditional ones, you don’t need to rent Utes or trucks to load and unload your stuff. This could actually save you a lot of money. Furthermore, the rate will adjust depending on how many modules you are using. You also get a discount if you get more. Now that’s super cheap self storage Sydney. And if by one in a million chance you find one that’s cheaper than Macy’s, we’ll beat it by ten percent! No other storehouse service could be better than this! As important as your belongings are, why not leave it in good hands? Don’t waste your time finding the best, since you finally found Macy’s Mobile Self Storage. For more inquiries, visit our website. Or you may call us at 1300 40 90 69. To know more, read Macy’s mobile self storage facility blog. This entry was posted in Storage and tagged self storage box, self storage facility, self storage module, self storage sydney.